It’s almost that time of the year when it’s warm enough to read a book outside or to take some with you when you go on holiday. And because there are so many books out there and it might be hard to choose, we’ve picked 6 books about health and fitness that we think are great and that will make a great summer companion. We’ve already talked about Tara Stiles when we discussed our favourite yoga channels, so having her book here will probably not be very surprising. The book is part yoga instructional, part meditation manifesto, part cookbook, and part lifestyle, which means there’s a bit of everything. Tara makes it clear that chasing calorie burn with fitness trackers is not her favourite thing. Instead, she suggests creating your own rules by simply listening to your body and she is also very encouraging when it comes to food with family. She offers her own rules as an example but the most important lesson this book will teach you is that focusing on making food with love and enjoying the fitness journey is what matters. The book written by time-management guru Timothy Verris puts together tips from elite athletes, doctors, and personal experiments. You’ll find out that losing pounds can be done through interesting food combinations and many more life hacks. This is the perfect book for a long holiday since it’s definitely not the shortest one. But it’s worth reading for sure, even if you don’t implement all the rules and suggestions, you’ll learn more about how your body works. So…Thinner, bigger, faster, stronger… which 150 pages will you read? If you still haven’t found the courage to start running, this book is for you. 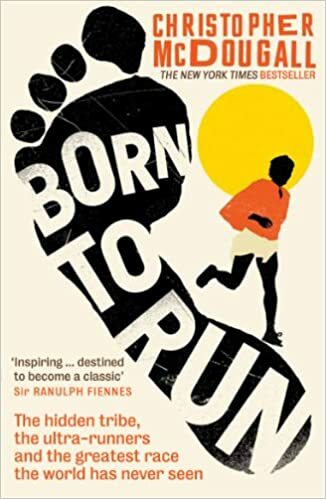 Full of incredible characters, amazing athletic achievements and most importantly pure inspiration, every page of this book will convince you that you should go for a run right now. Christopher McDougall found a tribe of the world’s greatest distance runners and talks about their secrets and way of life while he himself is training for a fifty-mile race. It is a story that won’t let you put the book down and will show you that we were all really born to run. 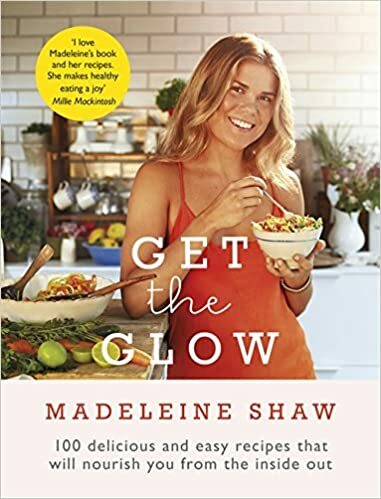 Madeline Shaw is the nutrition health coach to the stars so she definitely knows what she’s talking about. Her book is all about eating well and she explains that the healthier and happier you is not about fad diets, starvation or deprivation. There are some amazing recipes in the book accompanied with great pictures that will make you even more excited about them. The book also includes a six-week plan and advice on kitchen cupboard essentials and eating out. It is such a practical and down-to-earth guide that you’ll easily adopt her suggestions without feeling pressured. Want to know more about what food is the most nutritious and what should become a part of your weekly shop? 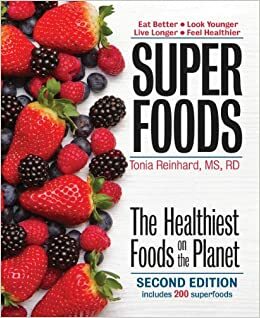 Tonia Reinhard’s book is all about superfoods – food that has the most nutrients and beneficial compounds in the least amount of calories. Tonia included more than 200 nutritional powerhouse foods and also recommends the best ways to consume them. And what do we love the most about it? This book takes the stress out of making a grocery list by identifying the most nutritious food for you. And a little bonus for all fans of our favourite Bendy Kate. Her new book, Advanced Stretching is out. It’s focused on stretching and it’s divided into 7 chapters with each chapter focusing on a different part of your body. There are also some bonus chapters that will inspire you to stretch with your partner, to use foam roller or to do wall, dynamic, active or combination stretches. It simply makes stretching immediately more interesting. You can read more about this book and an interview with Bendy Kate in our recent post. Do you have any tips on good health and fitness books?